Although we were stranded in Division 2, season 1908/09 had seen the Greens (we wouldn’t be Clarets for another year or so) turn in some excellent performances in the FA Cup. Bristol Rovers had been beaten 4-2 away after what was rated one of our finest performances for years and next followed a 9-0 win replay win over Crystal Palace after the first game in London had been drawn 0-0. Both of these opponents were non-league sides at the time but were still very highly rated and it all helped to generate real excitement in the town especially when we were drawn to play away at Tottenham Hotspur in the next round. In fact many Burnley folk shelled out 11 shillings for the trip to the capital to follow the team. A 0-0 draw was the result and an already frantic town was sent into overdrive when the cup draw gave the eventual winners a home tie against league champions Manchester United. The replay against Spurs the following Wednesday saw a then record crowd of 24,000 in attendance with thousands more being locked out. This was true cup fever as householders on Brunhaw Road opened their doors to allow the desperate to watch what they could of the proceedings from upstairs windows and the home fans were not to be disappointed as goals from Ogden, Smith and Abbott saw Burnley run out 3-1 winners and preparations for what would be a quarter-final tie against Manchester United began. So what do you do if your ground isn’t big enough? Why, rebuild it of course. 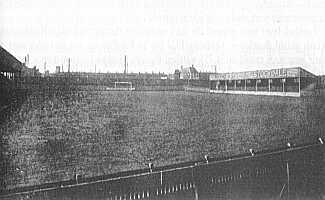 The stand on the right of the picture was known as the ‘Stars’ stand on what was to become the Longside part of Turf Moor. Although it provided some welcome cover it just wasn’t very big but Burnley had the solution. Over the course of a weekend it was dismantled, and rebuilt 15 yards further back. Easy, and it allowed for the construction of a paddock in front of it whilst ashes were brought from local mills to build up embankments around it and in other parts of the ground. The net effect was to increase the capacity by some 6,000 and given the interest shown at the Tottenham game a 30,000 crowd was fully expected with again the prospect of thousands being locked out but it was not to be. As Saturday 6th March 1909 dawned, a light wispy snow began to fall on top of the previous nights frost. By mid-morning as temperatures raised it turned into a heavier slightly wet variety. If anyone asked the question, ‘Is it sticking?’ it most certainly was. The turnstiles were open at 11:30am, which was fully 4 hours before the game was due to kick off (the time was on what we would now call British Summer Time) but because of the snow the expected numbers never arrived. Apart from it being no fun standing in the snow for several hours, public transport in the town and surrounding areas was grinding to a halt and with snow continuing to fall there was a real doubt whether the referee, Mr H.F. Bamlett would allow the game to go ahead. They were made of sterner stuff in those days though and with a fairly thick carpet of snow already on the pitch the match commenced in front of 15,471 paying spectators. Playing with the wind towards the Cricket Field end it was all Burnley and on 15 minutes Smethams crossed for Ogden who headed powerfully into the corner of the net ‘amidst a scene of the wildest enthusiasm’ as the Burnley Express put it. Only 5 minutes later Ogden hit the inside of the post and it remained all Burnley for the entire first half. It was still snowing, as it had been throughout the entire first half, but the fans that had managed to get to the ground and brave the conditions were being well and truly rewarded. As the match had progressed the temperature started to fall and by the time the second half kicked off the snow became just that bit thicker and heavier. In theory at least this was more of a problem for Burnley as it was now United’s turn to have the wind and the snow behind them. 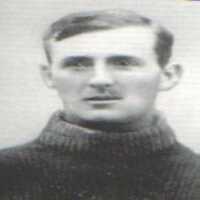 For 20 minutes they besieged the Burnley goal but they could not get past Fred Barron in defence or Jerry Dawson in goal and it remained 1-0 with Burnley having literally weathered the storm. As Burnley eventually started to push forward into the teeth of the blizzard it was widely acknowledged that they had the game in the bag against a by now demoralised side. What happened next has now become part of Turf Moor folklore. There were murmurs of disquiet in the home crowd as the United captain could be seen repeatedly having words with the referee and with only 18 minutes remaining, Mr Bamlett abandoned the game. He later said that players and officials were getting numbed with the cold and that the snow was blinding him and his linesmen. The United captain went just slightly over the top when he claimed that players LIVES were at risk whilst for Burnley Alex Leake said that all of his players were willing to continue. Whilst no commentators of the day criticised the decision in itself what they did say was that the game had gone on for 72 minutes in similar conditions. The weather had worsened to a degree but not significantly so and if the referee was prepared to start the match he should have seen it through. Quite what effect the representations of the United captain had on him we will never know. One thing just about everyone agreed on was that Manchester United had been ‘lucky’. One glimmer of hope for Burnley was that there had been a precedent from an earlier abandoned cup tie where the FA had ordered just the remaining minutes of a match to be played out but there was no way they were going to ask a trailing Manchester United to do that so the following Wednesday the two teams returned to Turf Moor to replay the match. There had been a rapid thaw, which had turned the pitch into a quagmire and 16,850 turned up to see a match played in arguably more difficult conditions than the snow had been. You don’t have to be a genius to work out what happened next as United ran out far more comfortable winners than the 3-2 score line suggests, no doubt assisted by the fact that Burnley’s best defender, Fred Barron had to miss the match through an injury sustained in the abandoned contest due to his rough treatment by the United players. If you were wondering, yes United did go on to win the FA Cup but back at Burnley it was not all doom and gloom. The money raised in the cup run enabled the club to buy Billy Watson from Southport later that month and helped finance the construction of the Brunshaw Road Stand. 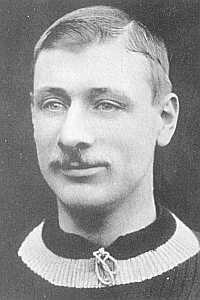 Watson went on to play a major part in our FA Cup winning team of 1914 and League Championship team of 1921 whilst the old Brunshaw Road Stand was still there to witness our further successes of the 1960’s. On the way to the Championship in 1960, despite having beaten them 2-1 at Old Trafford two days earlier, Burnley lost 4-1 to Manchester United at Turf Moor on 28th December 1959 and I’m led to believe that from the back of the stand an occasional voice or two could be heard. Maybe they were old enough to have stood for hours in that inclement weather all those years ago or maybe they had just been told the story but they were shouting only one thing as the Clarets struggled in unseasonably fine weather: ‘STOP T’GAME IT’S SNOWING’.